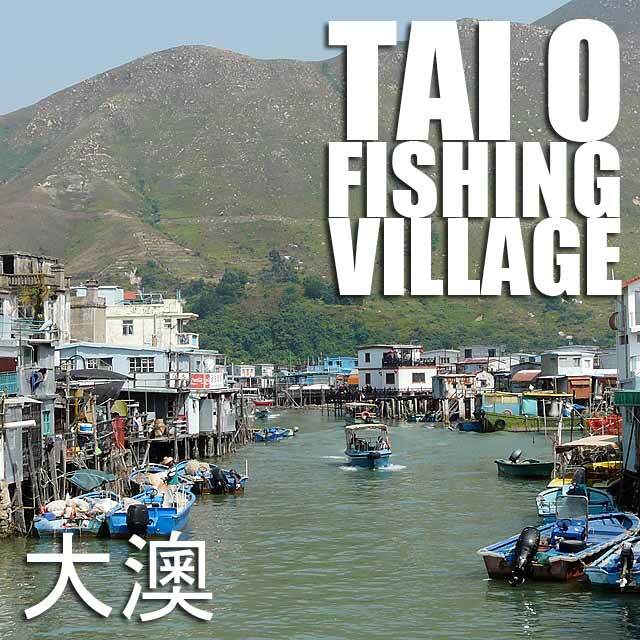 Tai O Fishing Village 大澳 on Lantau Island is one of those Hong Kong tourist attractions that are off the beaten track. It's one of the last remnants of Hong Kong's fishing culture as more and more fishing villages are being transformed into high-rise communities. From Ngong Ping, it's just 30 minutes away by bus. From Ngong Ping Village, I took bus no. 21 which goes direct to Tai O. Make sure you have HK$6.50 or an Octopus card since they don't give change (note that it's more expensive on Sunday). It's a scenic ride that takes you down the mountain into the village. Of course, the first thing that greeted me were the fishing boats docked near the shore. 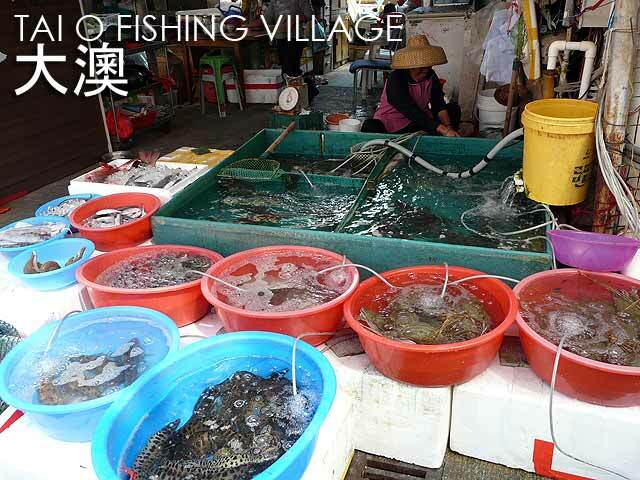 Tai O Market is also very popular because of the wide variety of fresh and salted seafood available. You'll see a lot of the seafood on sale alive and kicking in large plastic basins. 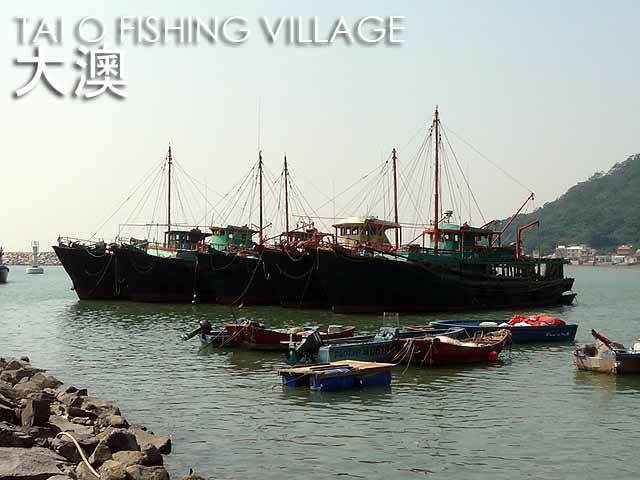 And being a source of fresh seafood, Tai O naturally has a lot of seafood restaurants. 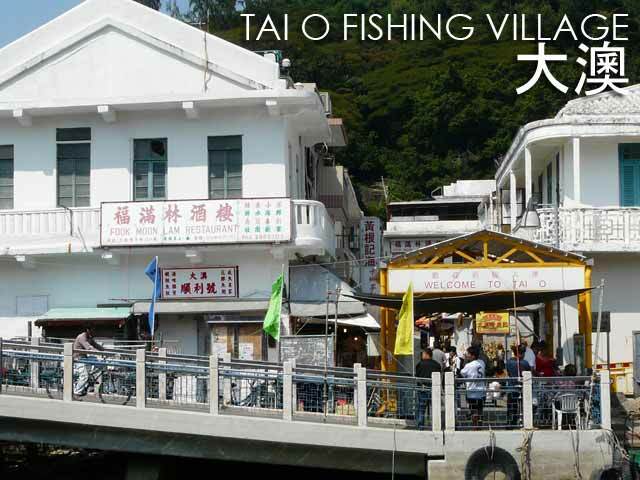 The distinct architecture of Tai O are the stilt houses or pang uk 棚屋. I guess coming from the Philippines, these were not new to me since almost every corner of the country has fishing villages and houses on stilts. But this is a perfect example of how Hong Kong was able to preserve the local character of this fishing village while adapting to modern needs. In fact, a fire had destroyed many of the stilt houses. But instead of building modern houses, they rebuilt the pang uk. 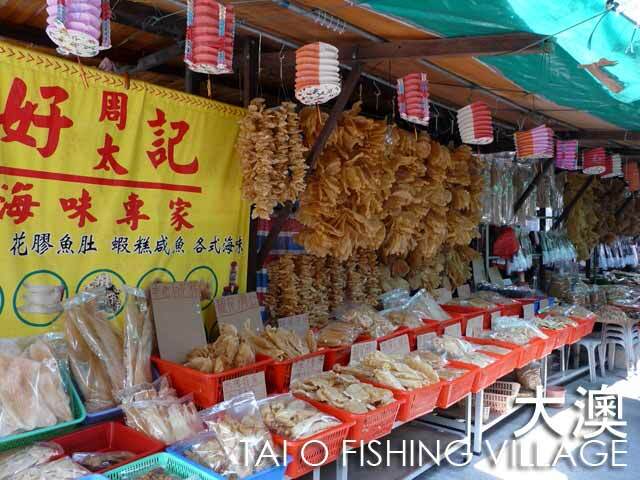 It thus has attracted a lot of local and foreign tourists who want to try out the local seafood or experience the scenery of a Hong Kong fishing village. The best way to to see the village is by boat. 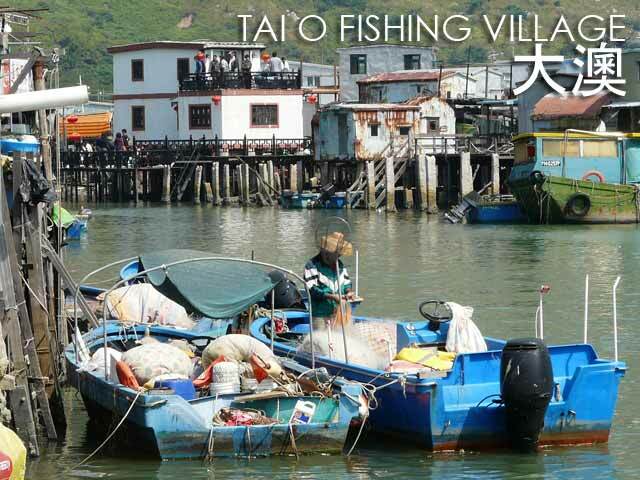 So just ask around where you can take a boat ride around Tai O. From the Novotel Citygate and Tung Chung MTR Station, take bus no. 11. From Ngong Ping Village, take bus no. 21 which leaves every hour. You can also take a bus to and from Mui Wo, another rural town on Lantau Island. Here is information on Mui Wo.